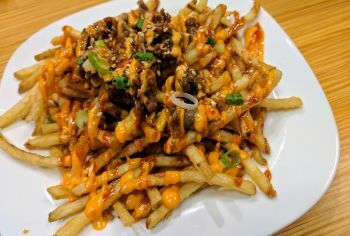 Although we are only three months into the new year, 2018 has been busy for several new area restaurants. In southeast Texas, there are a few things that bring us all together: the sights, the smells, and the taste of a brand-new business. There is no denying that we all love a new restaurant to frequent. 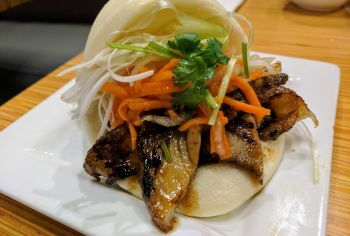 When it comes to what’s hip and happening, these new locally-owned eateries are what currently have Golden Triangle residents buzzing. Sleek and colorful, this is one eatery that will change the way you look at salad bars. 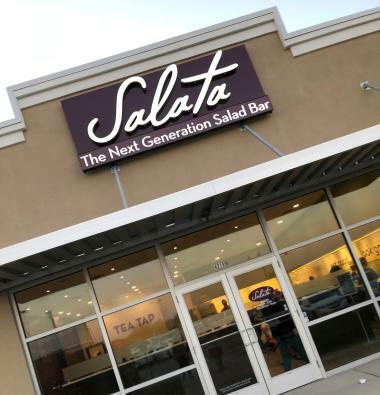 Located near Parkdale Mall, Salata is southeast Texas’ newest franchise restaurant specializing in more health-conscious menu items including: salads, soups, wraps, and sugar-free drinks. “I wanted to bring our area healthier food options,” said Chad George, owner of Salata Beaumont. With a long history in the franchise food business, George spent years alongside family managing several Golden Triangle Burger King locations. After working at a Houston Salata, he recently decided to open a franchise of his own in Beaumont. 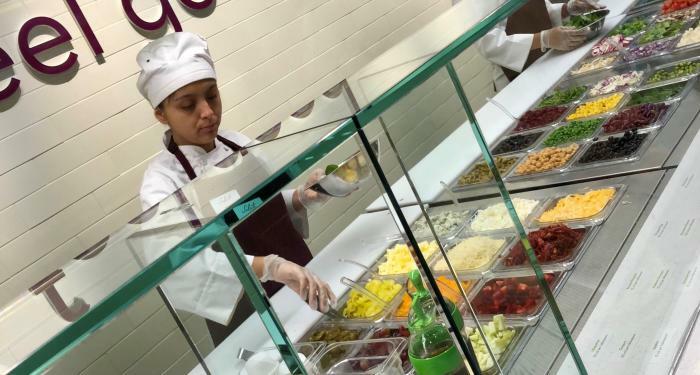 While the company itself has 27 locations throughout the Houston area, Salata Beaumont promises to be a popular eatery with fresh, flavorful options. With what seems like a mile of ingredients to choose from, Salata invites diners to experiment at an affordable price. Customers who dine at Salata will begin choosing between a salad or a wrap. Next comes a series of decisions: lettuce of choice, cheese, nuts, berries, scratch made salad dressings, and a variety of cooked proteins. 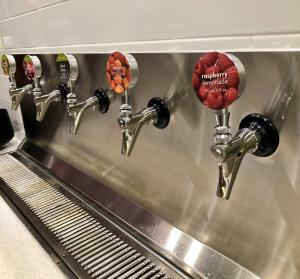 There is no shortage of options here. Open 7 days a week, visit Salata from 10:30 a.m. - 9 p.m. 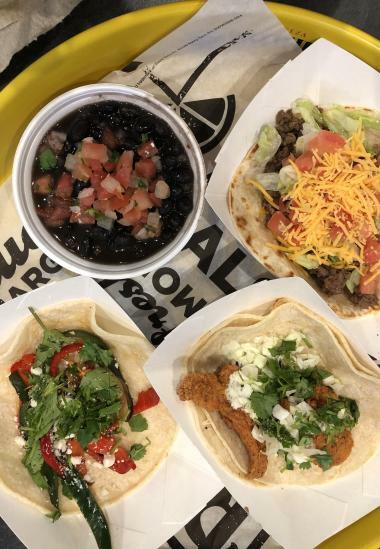 Located adjacent to Parkdale Mall, R Taco is a fast-casual concept—open 7 days a week, bringing flavorful and inexpensive tacos to your table in 10 minutes or less! Whether breakfast, lunch or dinner, R Taco has more than meets the eye. The order-at-the-counter service ensures speedy service and the dining area is perfectly sized. When it comes to the eats, tacos reign supreme. True Mexican style, meaning flat corn tortillas; no crunchy tacos here. Sides include a basket of tortilla chips, salsa, queso, guacamole and black beans. For a taste of the South, try the fried chicken taco served with crispy chicken strips topped with jalapeno ranch on a bed of slaw and cilantro. We also recommend the Rajas taco, which includes grilled poblanos, mushrooms, onions, and red peppers topped with queso fresco and cilantro. Not for the faint of heart! Add in some salsa verde for an extra bite. Customers can dine inside or on the outside patio. 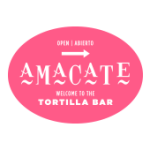 Sip on some tasty margaritas and visit the perfect spot to grab a quick bite that will satisfy all your cravings. When it comes to Italian food in Southeast Texas, most people have their favorite Italian restaurant already in mind. However, listen to us and check out Bruno’s Italian Kitchen for one evening. Locally owned and operated, Bruno’s opened early this year with much delight to West End residents. You’ll hardly recognize what used to be Bistro Lemonde. The walls are painted vibrant colors and the large menu boasts a wide range of flavors all within your price range. “This restaurant is beautifully decorated and spacious. The staff was very attentive and the food was delicious,” said Carol Hoffpauir on Facebook. 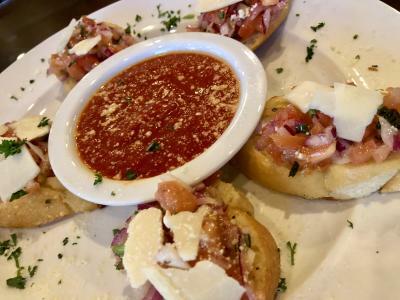 From XL pizza pies to pristinely decorated bruschetta, you can’t go wrong at Bruno’s. 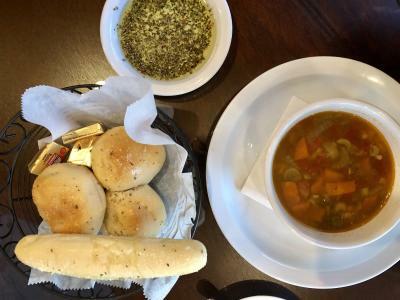 Not to be missed: we recommend a steamy bowl of the homemade vegetable soup and a glass of red sangria. If you’re one of those who never skips out on dessert, you absolutely must try the Tiramisu. Your fork will glide through these delicious layers of chocolate and Mascarpone, liqueur soaked ladyfingers, and dusted with cocoa powder. Trust us when we say it’s one of the best in town. 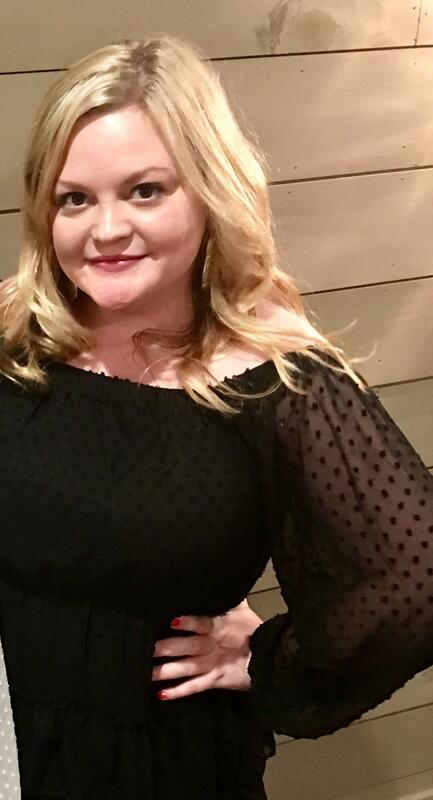 Lauren Bebeau is a freelance writer and food blogger based in Beaumont, Texas. For the past decade, Lauren has worked in the food industry. Lauren's interest in Southeast Texas cuisine began after graduating Lamar University when the opportunity of marketing a family owned frozen food product across Southeast Texas arose. 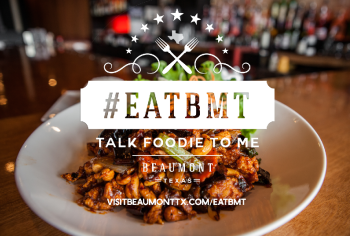 Since 2015, Lauren has gained notoriety around the Golden Triangle for covering local restaurants for The Beaumont Enterprise publications, Cat5 and VIP Magazines in addition to her personal blog, SETXfoodies. Lauren is dedicated to showcasing what our area has to offer residents and tourists. In her free time, Lauren enjoys dinner parties with friends, lounging around with her pet cat, and traveling.